It might be hard to believe, but a BB gun could land you in prison. That’s because New Jersey lawmakers have seen fit to classify BB guns, paintball guns, and Airsoft guns as “firearms” or “weapons” under the State’s strict gun laws. You might think that your BB gun or paintball gun is a toy, but law enforcement may consider it a deadly weapon. You might have lawfully purchased your paintball gun at a sporting goods store, but that might not matter because NJ prosecutors have a great amount of latitude when it comes to prosecuting weapons offenses. The attorneys at the Tormey Law Firm have years of experience in New Jersey courtroom. We have successfully defended clients against gun possession charges in Orange, Caldwell, and everywhere else in Essex County. We know how to negotiate reduced charges or probation when possible. In some cases, we are able to get the charges dismissed entirely. If your case does go to trial, you will be in good hands because our litigation team includes a former county and municipal prosecutor. We know how the other side thinks in these kinds of cases, which gives us a major advantage when we strategize for trial. Do not wait to contact a lawyer about your gun charges. Do not make the mistake of thinking that “it’s just a paintball gun charge.” You could be looking at serious prison time. Call the Tormey Law Firm now at 201-654-3464 to learn more about your case and discuss the next step. 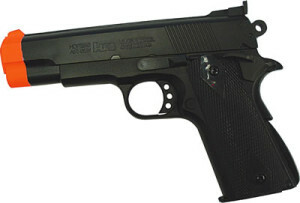 BB guns and Airsoft guns are considered “firearms” for the purposes of New Jersey gun laws; anyone busted for illegal possession of a BB gun or Airsoft gun can be charged with a felony. Additionally, although paintball guns are not considered “firearms,” they are still classified as potentially deadly “weapons” according the NJ Criminal Code; as such, anyone caught illegally possessing a paintball gun could face felony charges. If you do not have a valid permit to carry a BB gun or paintball gun, you can be charged with Unlawful Possession of a Weapon under N.J.S.A. 3C:39-5. Even if you have a permit for your BB gun or paintball gun, you can still be charged with Unlawful Possession of a Weapon if you carry the gun in certain public places, such as a school. You can also be charged Possession of a Weapon for an Unlawful Purpose under N.J.S.A. 2C:39-4 if you intended to use the weapon in the commission of a crime or for any manifestly unlawful reason. Unlawful Possession: If you are convicted of illegally possessing a BB gun or Airsoft gun, you may be sentenced to 3–5 years in New Jersey State Prison. Illegal possession of a paintball gun can result in a sentence of up to 18 months in New Jersey State Prison. Possession for an Unlawful Purpose: If you are convicted of possessing a BB gun, Airsoft gun, or paintball gun with the purpose to use it unlawfully against a person or property, you may be sentenced to 5–10 years in New Jersey State Prison. Moreover, this charge carries a presumption of incarceration; this means you will almost certainly be looking at prison time. Additionally, if you are convicted of using a BB gun, Airsoft gun, or paintball gun during a violent crime, the No Early Release Act (NERA) might apply. This will result in mandatory prison time. 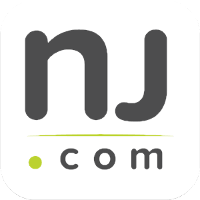 New Jersey prosecutors will not hesitate to seek maximum punishments for cases involving imitation firearms like BB guns, Airsoft guns, or paintball guns. Start your defense today by calling the Tormey Law Firm at 201-654-3464, or email us to schedule a meeting at our office in Newark, NJ.